Big Mac index was invented by The Economist in 1986 as a lighthearted guide to whether currencies are at their “correct” level. It is based on the theory of purchasing-power parity (PPP), the notion that in the long run exchange rates should move towards the rate that would equalise the prices of an identical basket of goods and services (in this case, a burger) in any two countries. For example, the average price of a Big Mac in America in July 2016 was $5.04; in China it was only $2.79 at market exchange rates. So the “raw” Big Mac index says that the yuan was undervalued by 45% at that time. Burgernomics was never intended as a precise gauge of currency misalignment, merely a tool to make exchange-rate theory more digestible. 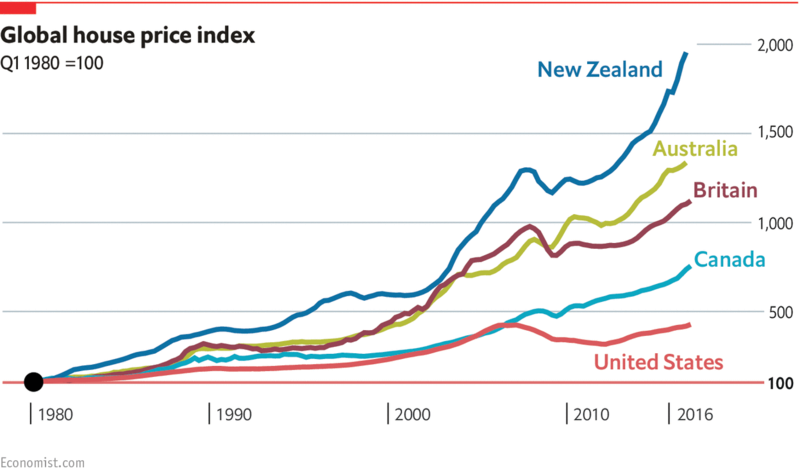 Yet the Big Mac index has become a global standard, included in several economic textbooks and the subject of at least 20 academic studies. For those who take their fast food more seriously, we have also calculated a gourmet version of the index. Below there are the data as of July 2016. 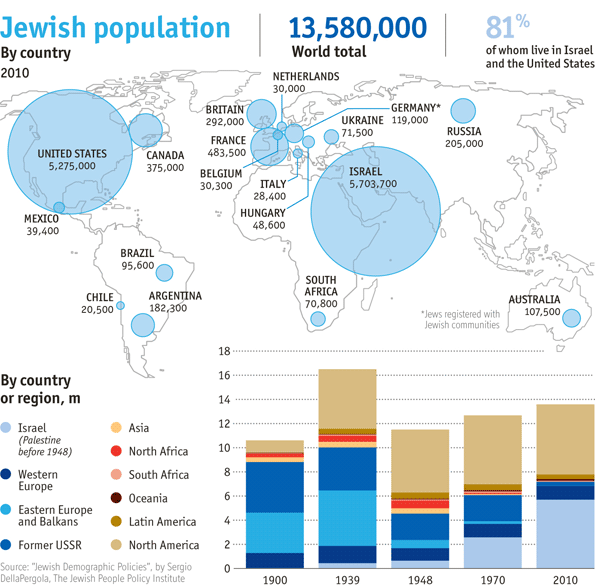 The map and chart below show where the biggest Jewish populations live and how this has changed over the past century. In 1939, Jews numbered 16.5m people, up from 10.6m in 1900. By the end of the second world war, the Nazis had wiped out one-third of them, sweeping away a thousand years of Jewish civilisation in central and eastern Europe. The death toll might have been even higher, but a flurry of pogroms that started 60 years earlier across the then-tsarist empire had sent waves of Jewish emigrants westward. By the time Hitler struck, some 6m Jews were safe in North and South America and in Britain, with 3m more living in the Soviet Union. From 1948, most of the Jews of north Africa and the Levant emigrated. The break-up of the Soviet Union brought the latest big wave of Jewish migration to Israel in the early 1990s.